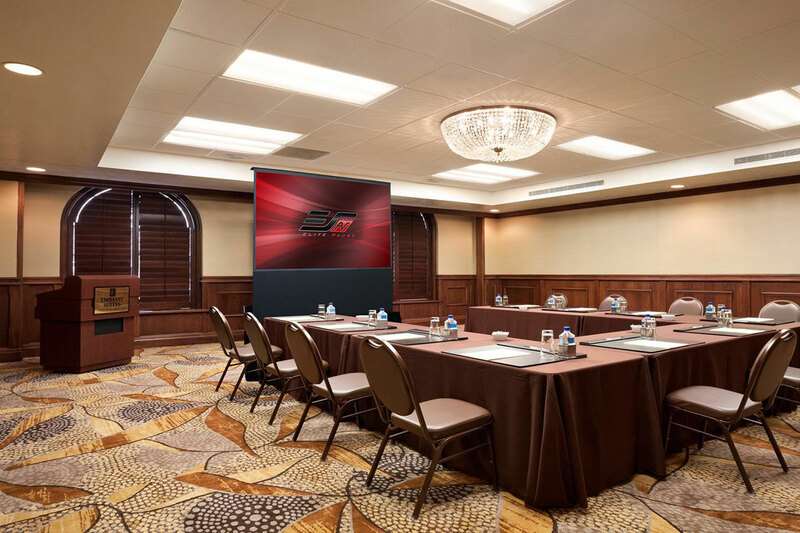 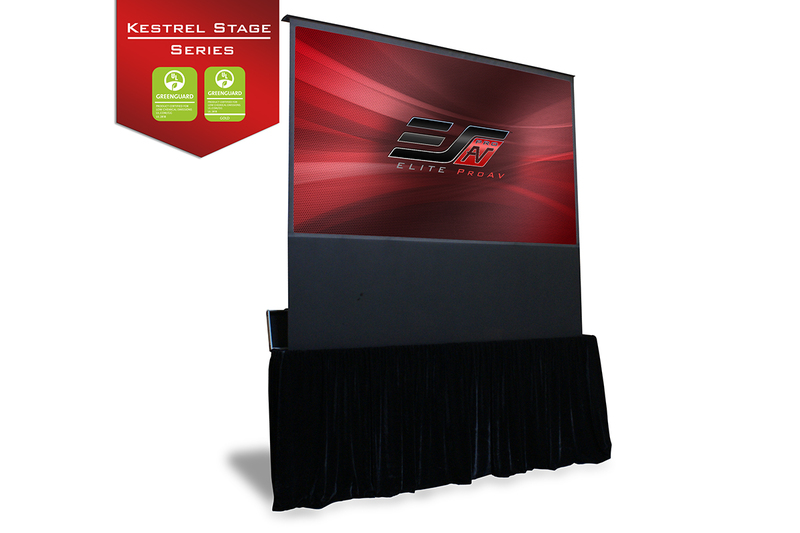 Kestrel Stage Series - EliteProAV - Providing an array of dedicated commercial grade projector screens to professional integrators. 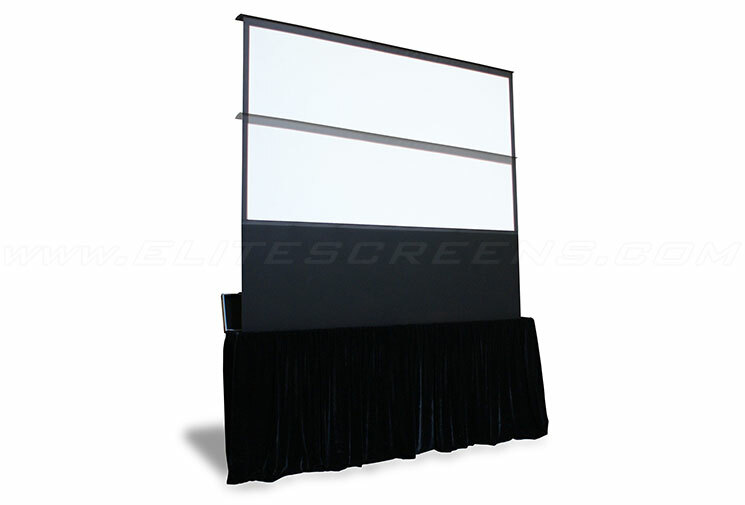 The Kestrel Stage Series is a large venue portable, free standing electric projector screen. 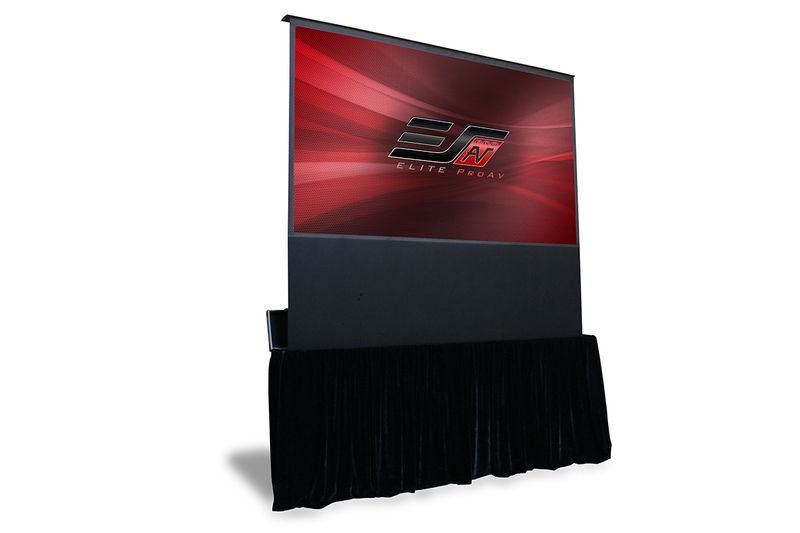 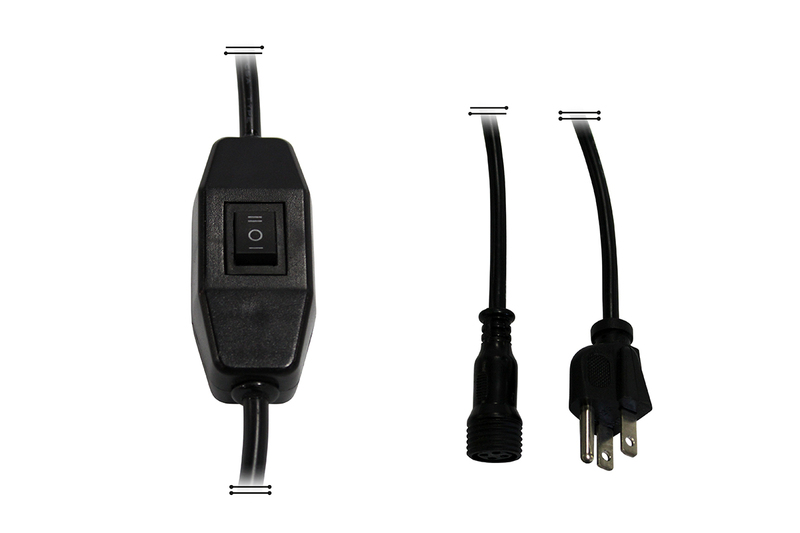 It is ideal for Rental & Staging or other commercial (Pro AV) applications where a mobile projection screen would be required. 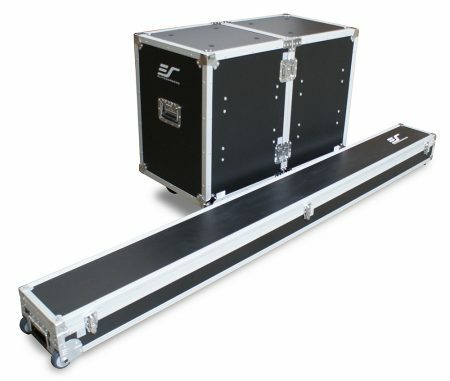 It is integrated into a sturdy wheeled stage case that has handles for easy transport and set-up. 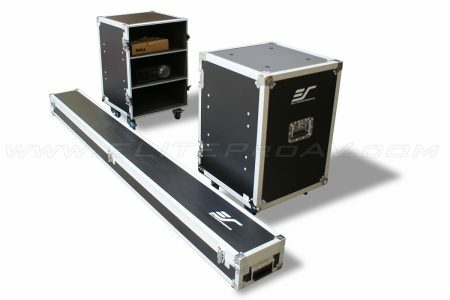 As an added value, a matching roadie flight-case with detachable velvet skirt is included to complete the arrangement. 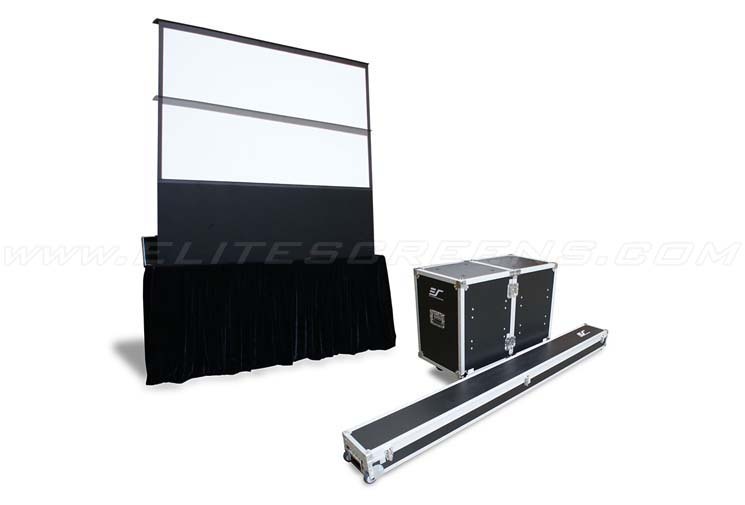 The flight-case combines with the cased-screen and skirt to create a professional-grade mobile projection display. 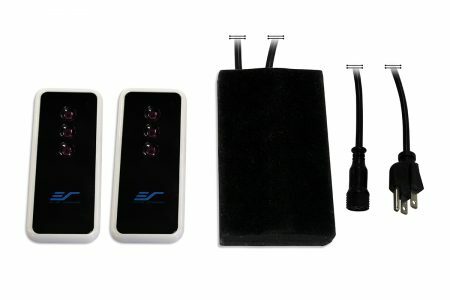 Models also available without the ATA Stage Travel Case, click here for the Kestrel Stage NTC Series.